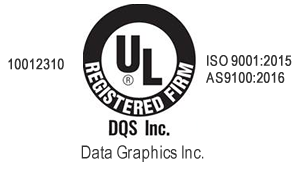 Lexan Label | Data Graphics Inc. Lexan Label | Data Graphics Inc.
Are you or your company looking for a quality and durable Lexan label for your product? We can manufacture the perfect Lexan label for your specific needs. A Lexan label is made of an exceptionally strong yet versatile brand name polycarbonate used in the manufacture of lightweight eyeglasses and fighter jet cockpit canopies, which speaks of its amazing crystal clarity. Lexan is also used in the manufacture of bullet resistant windows, sports helmets and helmets for astronauts, which gives testimony to its phenomenal strength and ruggedness. This is clearly a product fashioned to stand up to abuse. Data Graphics has a solution to meet your product’s specific needs. 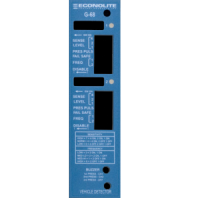 A Lexan label is designed to last for the lifetime of the product it’s adhered to and retain its legibility. Barcodes can keep organizing product painless. By attaching a barcode label to all of your company’s equipment and other capital assets, it becomes far easier to track the locations of these assets, which can improve efficiency and assist in loss prevention efforts. Shipping companies use barcodes to provide tracking information on the packages they ship; why not put the same technology to work for you in your business. Can’t decide on a color? We print in full color! 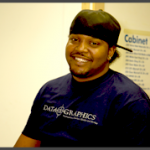 At Data Graphics, we fully realize that each customer and each product is different. Our sales team and art department can take your ideas and specifications and produce a Lexan label customized to your needs. Special shapes are no problem. Depending on the environment in which this label will have to function, we will help you choose the right type of adhesive treatment to get the job done. Keep in mind that your choice of label may be the only identification of your product with your company. When your customers go to re-order an additional or replacement product years later, you will want your name label to still be attached to your product, legible and prominently displayed. With our dedication to exceeding our customers’ expectations and our stream-lined operations, Data Graphics can offer you quick turn-around times. Expedited service is also available. We want you to be completely satisfied with your Lexan label purchase and look forward to establishing a long-term relationship with your business.